The online version of this article ( https://doi.org/10.1186/s13601-019-0256-9) contains supplementary material, which is available to authorized users. Calls for better integration of a range of evidence sources to inform more holistic respiratory guidelines [5, 6, 7] will only be realized if confidence in non-RCT evidence is increased. Inherent difficulties in assessing whether real-life evidence is of sufficient quality to be considered within the context of clinical guidelines has been a barrier to acceptance. 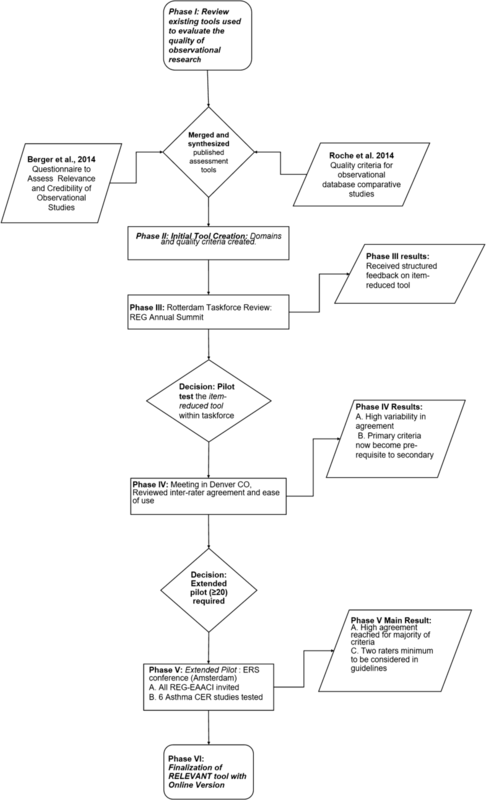 Development of a systematic and implementable approach to real-life CER quality appraisal is an important step towards implementing this necessary paradigm shift. 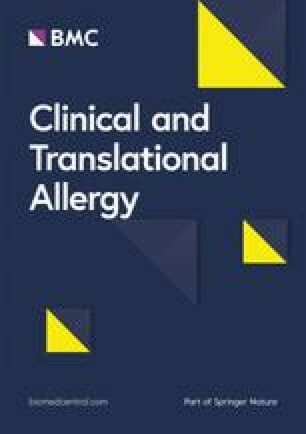 Responding to this need, the Respiratory Effectiveness Group (REG) and European Academy of Allergy and Clinical Immunology (EAACI) formed a joint task force to conduct a quality appraisal of the published observational asthma CER literature and, in order to do so, worked systematically to develop a standardized tool for CER quality appraisal (Additional file 1: Fig. 1). Seeking to integrate the Task Force work within existing quality appraisal activities, a number of publications on quality parameters for non-RCT CER were first identified and reviewed [9, 10, 11, 12, 13, 14]. The principles of these publications were chiefly incorporated within two key papers published in 2014—Berger et al. and Roche et al. —which jointly formalize the CER nomenclature and offer recommendations for systematic quality appraisal of observational database studies. Roche et al. —Quality criteria for observational database comparative studies—was a literature-based proposal published by members of REG offering suggestions for the quality appraisal of observational database studies with a particular focus on respiratory medicine. Berger et al’s  Good Practice Task Force Report was developed to evaluate the quality of pharmaceutical outcomes research evidence and was published on behalf of the International Society For Pharmacoeconomics and Outcomes Research (ISPOR), Academy of Managed Care Pharmacy (AMCP) and the National Pharmaceutical Council (NPC). It involved a review of the current literature on reporting standards for outcomes research published prior to 2014 and proposed a number of study design criteria to assist in the assessment of CER within the context of informing healthcare decision making. These two papers were used to identify the quality domains and critical sub-items of these domains that the REG–EACCI Task Force members should incorporate in RELEVANT. To pilot the tool and assess inter-rater variability, six papers from the Task Force’s literature review were randomly assigned for appraisal to two Task Force subgroups of nine members, Group A (n = 3 papers [15, 16, 17]) and Group B (n = 3 [18, 19, 20]). Three of the papers reviewed considered the relationship between adherence and asthma outcomes, and three the relationship between particle size or device type and outcomes. Participant Task Force members were not permitted to appraise papers that they had co-authored; papers were otherwise randomly allocated and reviews carried out independently. Twenty-two participants were identified for the extended pilot via an open invitation emailed to all REG collaborators and members of EAACI (Additional file 1: Table 3). Six papers from the Task Force’s CER literature review were selected for appraisal [21, 22, 23, 24, 25, 26] and assigned in pairs across three rater subgroups (Groups A [n = 7]; Group B [n = 8]; Group C [n = 7]). There were two papers on the relation between adherence and outcomes, two on the relation between persistence to therapy and healthcare resource utilization and two on the relation between particle size and outcomes. Additional file 1. This file includes the goals of the Task Force, an intermediate item-reduce tool, and extended quality assessment tool pilot participants. Additional file 2. This maps the quality recommendations within the primary reference papers Berger et al and Roche et al that resulted in an initial 43-item checklist.